Since the earliest days of the film industry, movie studios have had two options: adapt or die. But this latest step from one of the biggest studios in the game could be a leap in the wrong direction. Sony Pictures has announced that thirteen of its films will be released in the 4DX format next year. 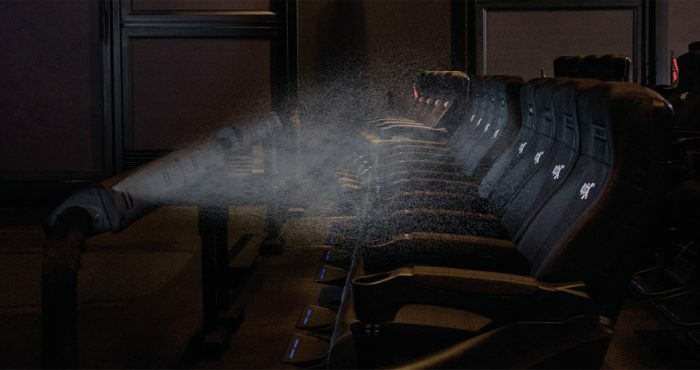 4DX movies are the ones in which your seat shifts underneath you and you’re pummeled with smells, blasts of air, and drops of water based on what is happening on screen. You know what this means: get ready to be neuralized for real during Men in Black International. A Sony executive says that all of these movies “lend themselves to the 4DX immersive experience,” but that’s hard to believe. Sure, some of these might be fun to see in that format – I can see it working with a horror movie like Grudge or Escape Room to heighten jump scare moments. But watch the trailer for Miss Bala and please tell me how having things blasted in your face during the movie would enhance that experience. I don’t want to slam Sony too hard here. They obviously think this is a step toward getting people excited about going to theater again, and with a lifetime of entertainment options available to people on their couches at the touch of a button, I understand that’s an uphill battle. But have you ever been to a 4DX screening? It’s more expensive than a traditional movie ticket, and you’re essentially paying for a jostling, jerky experience equivalent to a carnival ride. I appreciate that Sony is looking to the future, I’m just not convinced 4DX is the way to go. I’ve always found the true full-size IMAX experience to be the most immersive way to watch a movie – maybe invest in a deal with IMAX to allow your filmmakers to film using native IMAX cameras? Just a thought. The post Sony Embraces 4DX, Announces 13 Films Will Use That Format in 2019 appeared first on /Film.